It’s been strange trying to settle back into a life of not traveling! Instead of planning my next camping stop or hiking place, I’m doing loads and loads of laundry, pulling weeds (as Mother Nature is very possessive), cutting grass, cleaning the house and so forth. During all this labor intensive service to my home, I’ve been pondering my real love of Georgia. 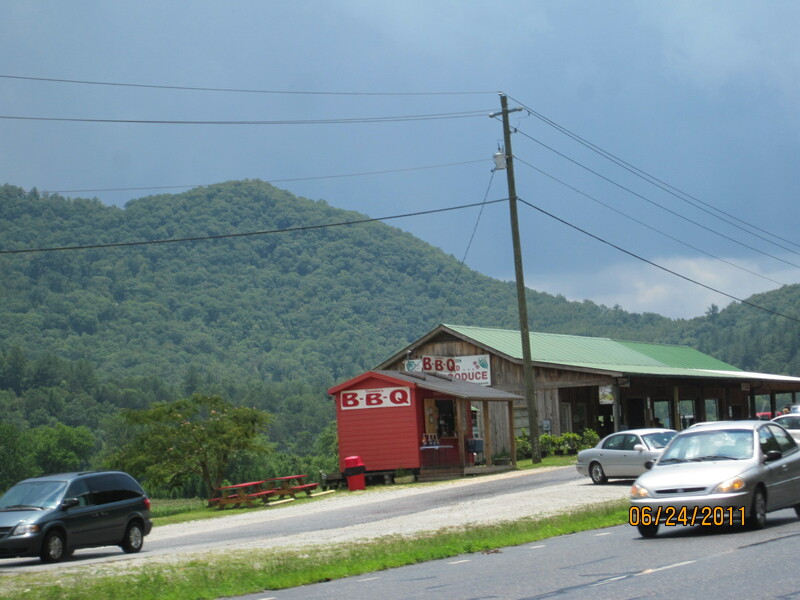 So, it will be Georgia’s back roads and flea markets that I write about this summer. This has really been my first day “back” where I’ve had time to think or drive around since returning with my daughter on Monday. I’ve run back and forth from Atlanta delivering her and helping Mom and now, at last, I’ve got a couple of days to gather my thoughts and see some of my favorite spots that I truly missed while on my journey. My home is about 12 miles south of Clayton, Georgia which is located in the northeastern most corner of Georgia in Rabun County. Highway 441/23 runs through the center of town bisected by Highway 76. If you continue north on Hwy. 441, you’ll go through Clayton, Mountain City, Dillard and end up heading toward Franklin, North Carolina. If you turn left onto Hwy. 76 heading west, you’ll be going toward Blairsville over one of the prettiest highways in Georgia. If you turn right heading east onto Hwy. 76 , you’ll end up in South Carolina in about 20 minutes. It takes me one hour to get to I-285 and I-85 in Atlanta and another 30 minutes to run the I-285 gauntlet to Mom’s house in Sandy Springs. It sounds further away than it really is. Totally doable in a day but best when savored. I’m only hitting MY favorite spots. There are so many shops to explore and so little time! Driving north on Hwy. 441 is my favorite thing to do early on Saturdays until all the venues close at the end of the “season” (winter). There are so many shiny objects to satisfy that A.D.D. itch I get. My A.D.D. 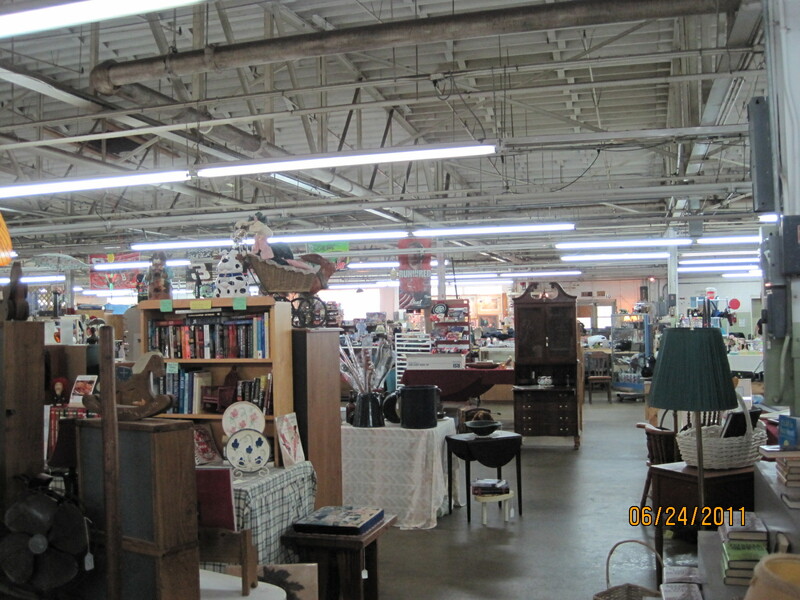 itch happens to be pet friendly indoor and outdoor flea markets. 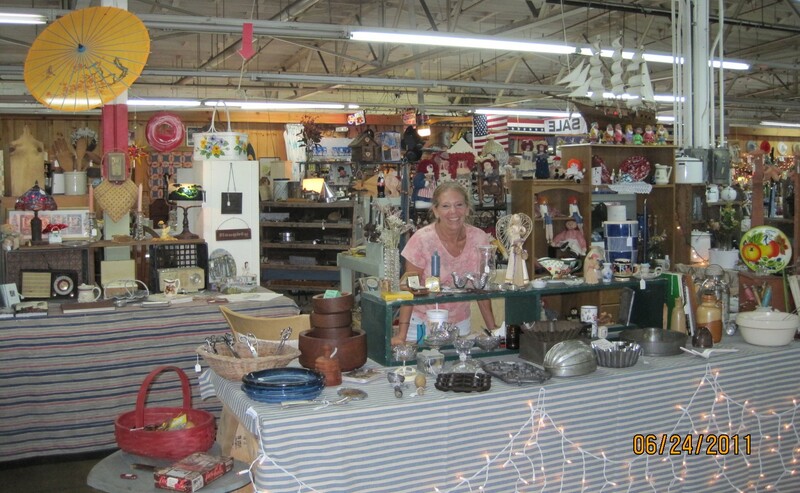 There are so many friendly people to visit with and interesting collections for sale. I also like driving north on Hwy. 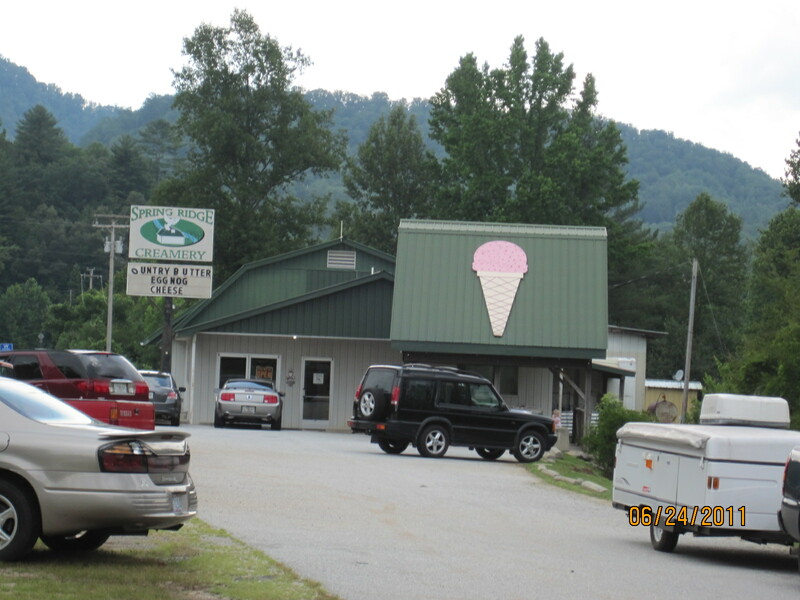 441 as there is a creamery just across the North Carolina state line that has the best ice cream on the planet because the milk is from happy cows. Usually, milk products upset my stomach, therefore, I don’t eat it much at all. This is my coming home treat. I get a half scoop of Pralines & Cream and a half scoop of Espresso Fudge on a waffle cone and I’m good for another couple of months. 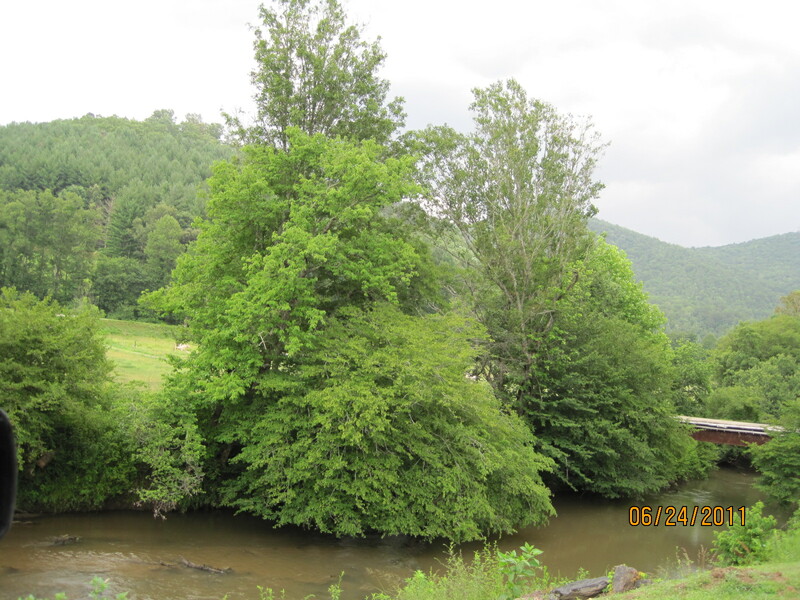 You can sit outside overlooking this river, pasture and the "happy cows" just beyond the river and the trees. On the way back south, I hit my two favorite flea markets. 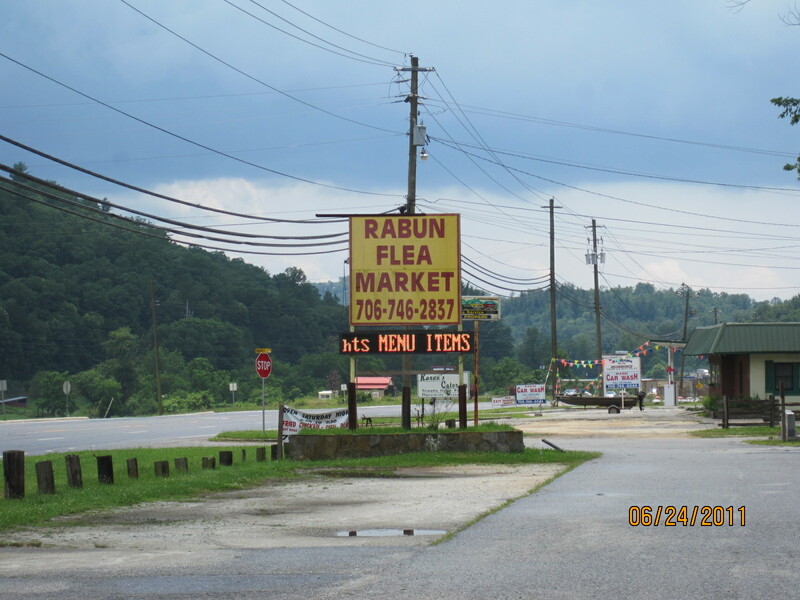 The first one on the way home is in Mountain City called Rabun Flea Market. 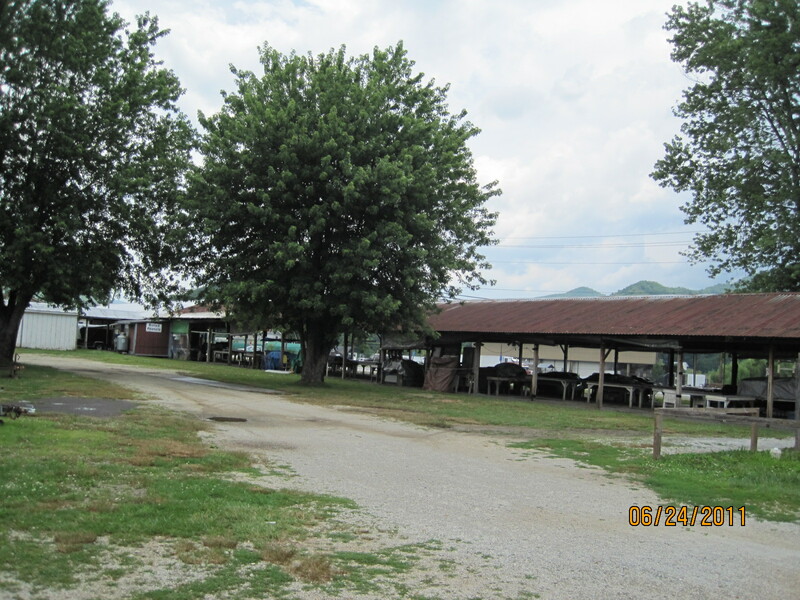 It’s several (at least 5) covered but not enclosed long sheds with booths of everything from herbs to plants to jewelry to used tools to cool junk. They are only open on Saturday and Sunday but a great place to walk with Montana. After a walk through this facility chatting with locals and venders, I get back on Hwy. 441 south toward my next favorite flea market in the area, Georgia Mountain Market. Montana loves to shop here. Everyone who knows her runs up to get sugar! One of Montana's special friends who always has loving treats for her. 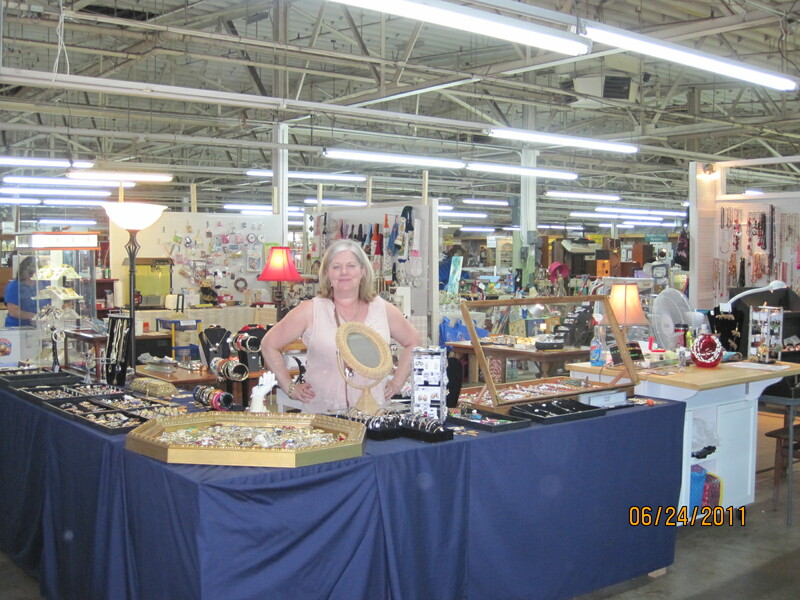 One of my newer dear friends, Lynn Scholl has a booth inside Georgia Mountain Market where she sells “Bodacious Vintage Jewelry”. She has a display of my own One-of-a-kind earrings…from a friend available for purchase. (lynnscholl@mindspring.com). Her booth is the first one you see when you walk into the main door. Tell her “a Friend” sent you! Lynn Scholl has plenty of "Bodacious Vintage Jewelry" (including my one-of-a-kind earrings) to sell to you! 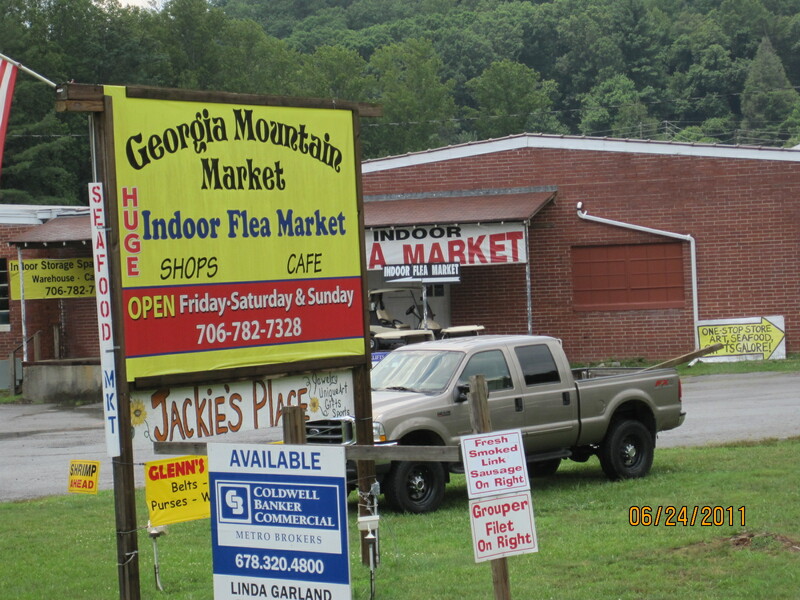 Another one of my favorite places to stop and visit in Georgia Mountain Market is with Janice Grant of Turning Creek. Her specialty is “natural handmade soap”. (turningcreek@aol.com). It was a pleasure getting to know her better today and finding out that her husband, Bob, is a beekeeper. She also sells his “Raw Mountain Honey”. I see from his card that he also makes hand turned wood. Check him out at Turning Creek Artisans (rivercg@aol.com). 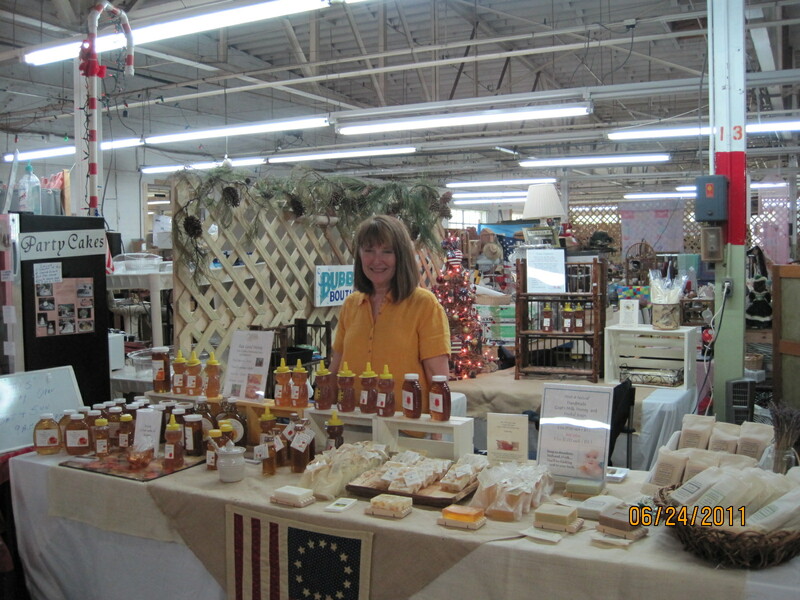 Janice Grant at Georgia Mountain Market selling handmade soap & raw local honey. To give you a "feel" of the place. It's huge! We still had more errands to run and the rain was pouring buckets so off we went to get our day done and write this little ditty. Next adventure? Sautee, a little known eclectic shopping corner not far from home.